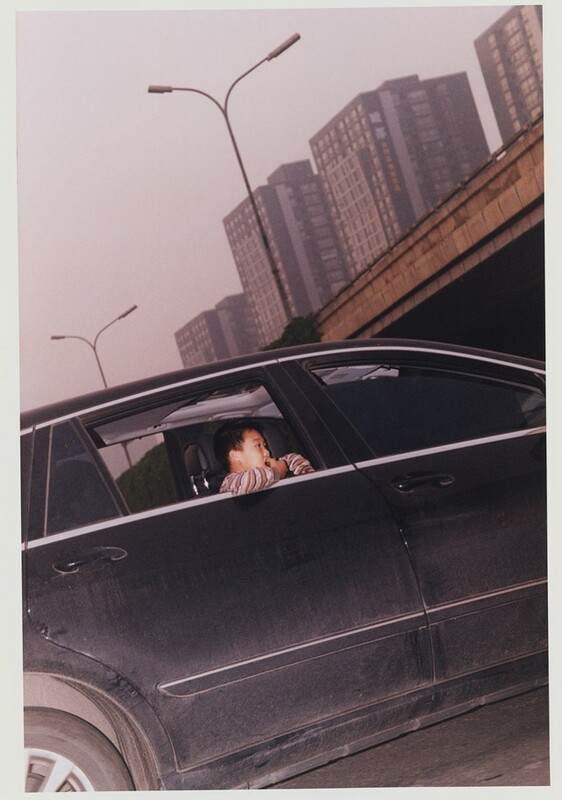 Two years ago, Coco Capitàn shared a series of unseen images – all of which were focused on China – in a capsule exhibition at the Photographer’s Gallery, titled Middle Point Between My House and China. Now the photographer has allowed this project in its developed length and documentary to be resurfaced, as she prepares for the release of a new book (her first) of the same name. Keeping within the same vein as her previous photography and writings, Capitàn’s diaristic approach to her art plays out like a really wonderfully shot travel diary, which – like the initial, condensed installation we saw at the Photographer’s Gallery two years ago – also sees clothed shots of strangers communicating, navigating, loving and living. However, it’s the photographer’s exploration of time and space that really rests at the book’s centrepiece. As Capitàn prepares for the book’s release tomorrow, we caught up with the photographer to find out about how she navigates between imagination and reality. 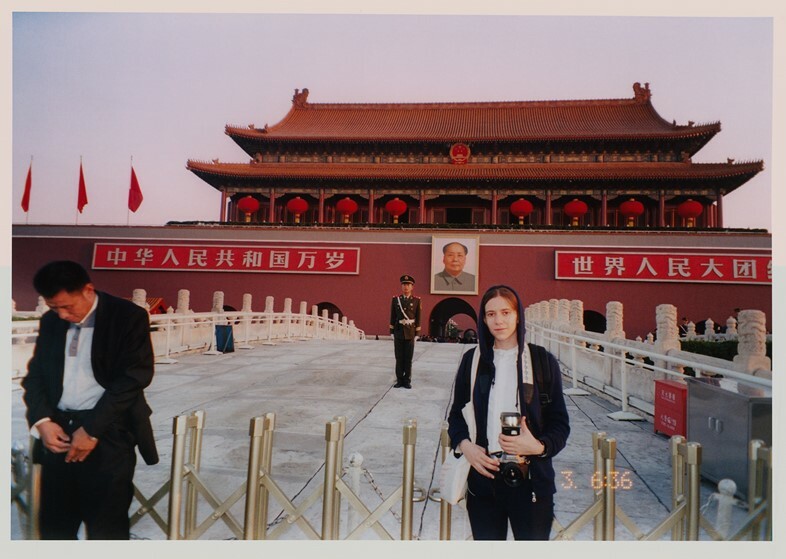 Coco Capitàn: As a child I used to think of China as the most remote place in the world. I thought that if I dug deep down enough in my back garden I would reach it at the other side of my tunnel. When I realised I could never reach China by digging, I decided to establish myself in the ‘Middle Point Between My House and China’. Back then, ‘China’ represented a desire I had to run away from it all, while the 'House' was my present, it was my reality. I wanted to take images that would denote how I perceived China, my personal experience in the country and how I saw the people who were there. You make reference to this ambiguous ‘middle point’, was this one of the themes you set out to explore? Coco Capitàn: The middle ground in the book lies between the self and the other. Photographing is an exercise that links two ends; the photographer, and the subject being photographed, both explored and exploring together. A photograph speaks both about the photographer and the subject. When I say ‘middle point’ I am referring to the space that appears when you start looking at something different to your everyday life. What is about China that keeps your fascination rooted? Is it the China you imagined as a child or the reality? Coco Capitàn: In my childhood China was a representation of distance, it felt like the furtherest place you could go to, probably because it was so different to everything else surrounding me. I imagined finding solitude in a place where all the cultural codes were different to my own. So yes, the China of my imagination and childhood, as this one brought about a level of figurative escapism. How did you go about finding that balance between capturing everything you had imagined and all you were confronted with as a reality? Coco Capitàn: First, I decided all of the images in this book should follow the form of a documentary. They are images of found moments on the daily routine of Beijing and other towns in China. There were no staged scenarios, mood boards or props. I would spend days and days wandering around with my camera trying to discover what I was looking at – they are spontaneous images of what was already there. I met people on the street and would ask them if I could take their picture by pointing at my camera. Reality is always different to how one imagines it to be. Nothing feels as exotic or intriguing as it did back then. Coco Capitàn: How it felt to be there. I also wanted to capture the isolation and confusion you suffer when you are in a completely different culture from your own. I wanted to document my own idealised vision of China and be very specific about this and also to analyse what I was looking at. I think photography is a very useful tool to acknowledge how things are perceived. Coco Capitàn: I am working on a new body of work right now exploring the themes of normality and the middle classes. Paintings, photographs, writings and a bit more of this and that.